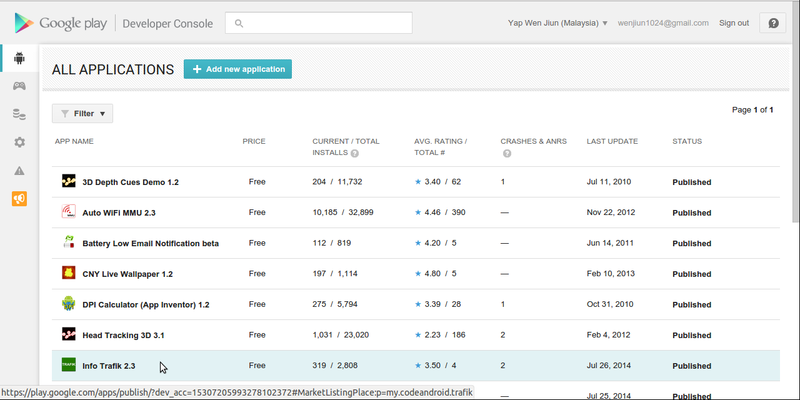 From the All Applications list, select the application you want to add or modify the What's New section in Google Play Store application listing. This will open the Store Listing page for the app. Select APK at the left panel to open the APK page of the app. Click on the current published version with a status "in Prod", in the screenshot above it will be version 8 (2.3) which will open the APK Details window. Scroll down to the bottom you will see the "What's new in this version?" and click on the section to Edit. Finally click "Save and Publish" and it is done.